Preferred Hotel Group properties´UK corporate bookings are down 25% this year compared to 2008. Preferred Hotel Group regional director for the Iberian Peninsula and the Mediterranean Philipp Weghmann estimates that UK corporate groups to the representation organisation´s member hotels throughout the world are down a quarter compared to 2008. He said the downturn was reflective of the entire corporate events industry. Some UK corporate clients have told Preferred Hotel Group´s members that they are anticipating a further 20-30% drop in 2010 in the number of room nights they will book. "The leisure business is recovering but 2010 will be tough as far as the UK corporate market is concerned," said Weghmann. "Some corporate accounts are telling us that they have cut the number of hotels in their programme and consolidated to get a better rate. They are also trying to lock hotels into two-year contracts to avoid price increases." 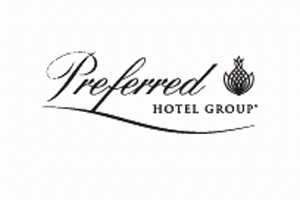 Preferred Hotel Group UK group sales director Akis Schinas said UK properties had benefited from corporates chosing to hold events in the UK rather than going overseas. "In 2010 the trend will be for corporate clients to keep events close to home and use hotels mostly for accommodation only, and holding meetings in their company offices to minimise cost," said Schinas.